We went to Trader Joe’s today after lunch. 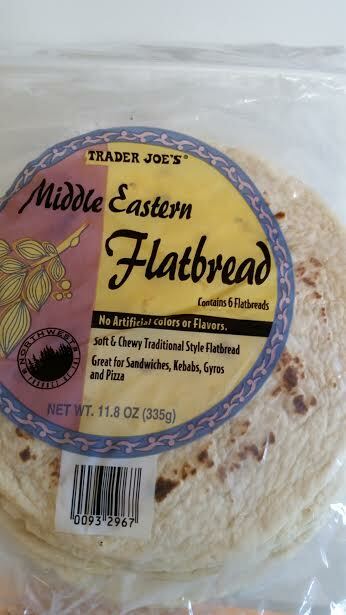 I found some small flatbreads and thought I’d use them to make individual flatbread pizzas. I have some chicken breast that I will bake with barbeque sauce. This recipe is very easy to alter. Bake as much chicken as needed and for leftovers. Just alter the amount of bbq sauce to make sure it covers the chicken. Preheat oven to 375 F. Spray a glass pan (8×8 or 9×13 depending on how many chicken breasts). Place chicken in the pan. Pour a 1/4 – 1/2 cup of bbq sauce over the chicken. Bake chicken for 25 minutes. Let cool before slicing. Place a 1/2 tablespoon of bbq sauce as the sauce on the flatbread. Sprinkle chicken. Sprinkle with shredded cheese. Top with onion and cilantro. Turn oven to 400 F and heat for 5-10 minutes. Watch to make sure they don’t burn.